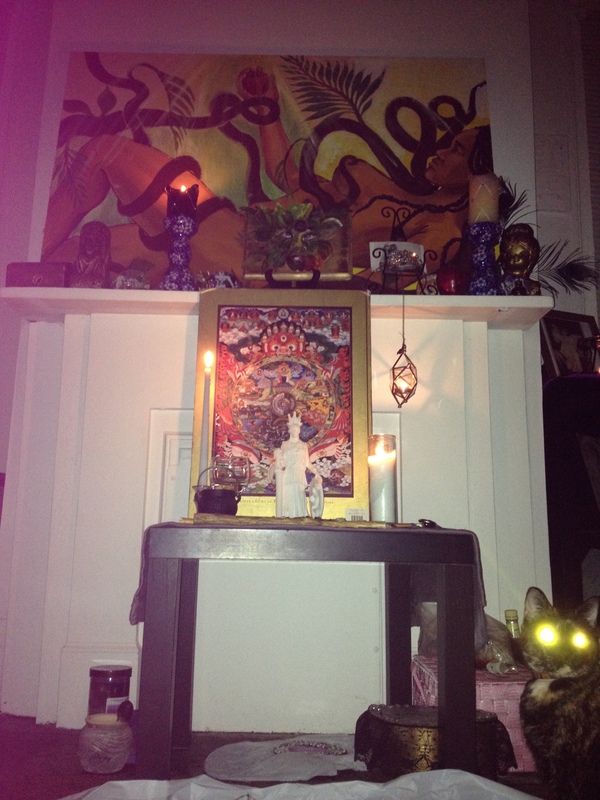 My altar is missing a few items but I’m still working on building it. FYI: Just a tip for studying Kabalah if you’re not an actual initiate into a traditional study. Look up your ideas using Google translate to translate them into Hebrew if you’re stuck in your studies. Then, once you’ve pulled up the Hebrew results, use Google translate to translate your Hebrew findings into your native language. You’ll be surprised how many roadblocks you can pass this way. This entry was posted in mysticism, self help, spirituality, Tarot, Uncategorized and tagged altar, chokmah, kabalah, meditation, mysticism, occult. Bookmark the permalink.